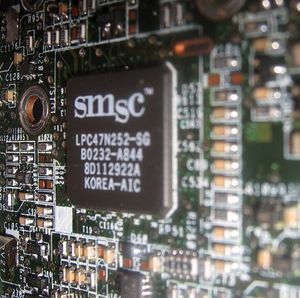 The embedded controller is a small microcontroller typically used in laptops for various purposes. These ECs are supported by coreboot. There are several versions, with flash and with mask ROMs. Only the flash versions are update-able. These ECs are Family 740 based. A development environment including compiler and simulator is available from Renesas. Some of the info (interface docs) can be reverse engineered to some degree, but that is very tedious. 1 Previously Mitsubishi, now Renesas. 2 Previously Hitachi, now Renesas. 3 Previously National (NSC), then Winbond, now Nuvoton. 4 Previously Winbond, now Nuvoton. Very common ECs in netbooks are the KB3310, KB3910 and KB3920 from ENE Technology. 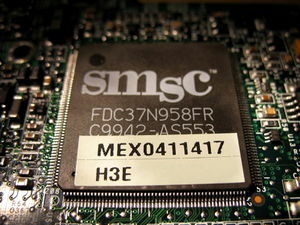 The ENE ECs are 8051 based. The Quanta IL1 reference design seems to use ENE3310 controller. The q1d25i.rom was examined. The EC code is on 0xFFF00000 on One Mini A110. Its 64KB big HOLE0.ROM. Example code that makes use of the KB3310's "Index IO" access functions. Some ECs are H8 based. This page was last modified on 15 January 2016, at 23:55.